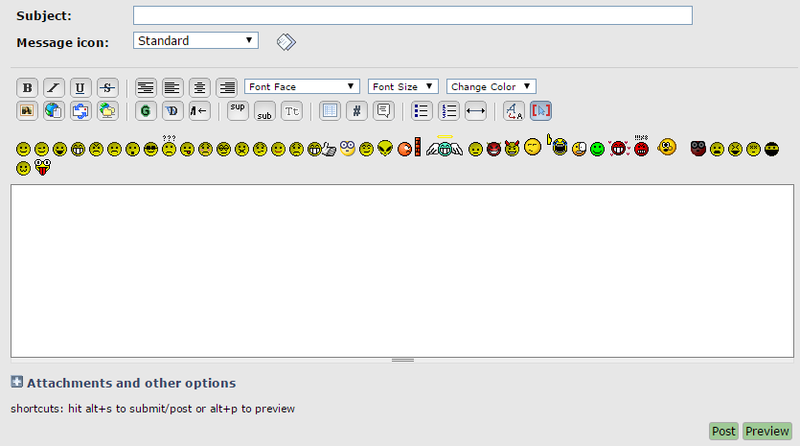 This is the second part of a series on how to use the Omnimaga forums. Now that your profile looks nice, it's time to be a part of the community and post on the forums. The first thing you need to do is go to the forums! Click on "Forum" on the Omnimaga header. This page is a list of all of the forums and sub-forums (forum inside of a forum) on Omnimaga. There are ones for calculators, for computers, random discussion, and more! Let's take a look at them. Omnimaga: This forum is for discussing the site itself. 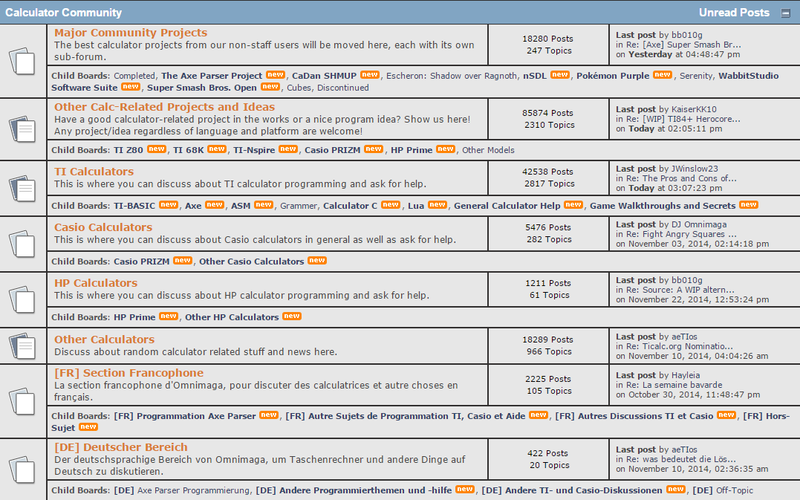 Calculator Community: The biggest forum. It is divided up into different brands here. If you are working on or have finished a project for a calculator, post it here! General Discussion: The most diverse forum. It is divided up into different interests. The first section is all about computers and technology. If you wrote a program for a computer, built an electronic device, or just want to discuss technology, post here. Music Talk and Showcase and Art sections are for posts about making music and art of any kind. Introduce Yourself is a place where new members can tell the community about themselves. Other Discussions is for off-topic/general talk. Click on a topic to read the posts in it. If you want to post in a topic, you can use the Quick Reply box at the bottom of the page. Type your reply, then click Post to post it. When you are finished, click Post at the bottom of the post editor. That's it!